God Diego Go is an animated series featuring Diego, the cousin of Dora from Dora the Explorer. His goal is to help animals that are in danger in particular those from the rainforest. 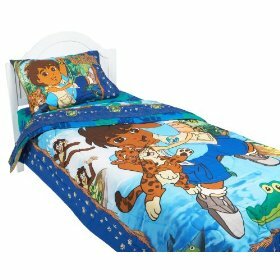 Featured on this Diego Comforter are Diego himself and his faithful companion Baby Jaguar who helps Diego on his adventures. Also included are the Bobo Brothers – two monkeys who often get up to no good. The border of the comforter is a deep blue with yellow animal paw prints. The comforter is made from a mix of 55% cotton and 45& polyester and is filled with a 100% polyester fiber fill. It is fully machine washable and dryer safe. Who could forget Linus, that precocious Peanuts comic strip character who had a particular fondness for a ratty, blue blanket and was the origin for the term “security blanket”? The Kiddopotamus Huggacub Luxe Security Blanket is the perfect baby gift for your favorite little one and sure to be loved for many years. For those that worry that an emotional dependence on a piece of fabric is not healthy, I say no way! Security blankets give over-stimulated children an opportunity to self-sooth and also provide a sense of familiarity in new situations. Don’t worry; no child has ever gone off to college with a teddy bear decorated “lovie” tucked in his book bag. The Huggacub Lux Security Blanket is available in pink, pale blue or ivory fashioned from super soft velour fabric with ultra smooth satin trimming. The tactile contrast between the plush velour and the slippery satin will keep little fingers busy as they go down for nap or ride in the stroller. Having a security blanket or “lovie” creates a sweet ritual for baby that communicates that they are okay, everything is right with their world and it is time to quiet down. A wise mom once told me to buy at least one spare to replace a beloved security blanket in the event that it was lost or just temporarily out of commission due to being laundered. This security blanket is affordably priced from $9.99 so it and makes stocking up on a few a complete no-brainer. The manufacturer recommends washing in cold and hanging to air dry. Users of this product have reported that air drying process takes several hours and the blanket remains plush looking, even after many washings. Where Can I Buy the Kiddopotamus Huggacub Luxe Security Blanket? Amazon.com and being priced from $9.99 makes it an excellent buy. The idea of an electric blanket appeals to many for several reasons ranging from jumping into a pre-warmed bed on a cold night to saving money by not running the furnace to heat the entire house all night. However with media attention focused on the safety issues of electric blankets, such as fire or burn hazards and harmful electromagnetic radiation, many potential users are concerned about a possible danger. The Soft Heat Electric Warming Blanket is marketed as the “The World’s Safest” Heated Warming Blanket and is a high-quality product even the most anxious of worry-warts will not loose sleep over. As the only heated blanket in the United States certified by the Underwriters Laboratory (UL) as safe under 25 volts, Soft Heat Blankets use a special Safe-n-Warm technology to covert 120 volts AC into less that 14 – 18 volts DC.A UL rating is important in assessing the safety of a product, so rest assured that your well being is priority number one with this great product. 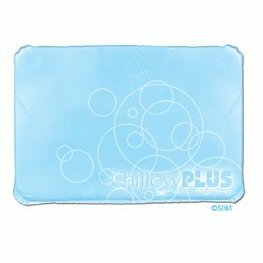 Made of super soft polyester, this Soft Heat blanket is snuggly to the touch and warms up to one of 11 heat settings within 15 minutes. The micro wires that conduct the heating are so small and unobtrusive that at first glance you may never realize this is an electric blanket. I also love the 10-hour automatic shut-off feature (I’m forgetful in the morning) and the auto dimming light on the computerized controller (I sleep best in total darkness!). The Twin and Full size blankets have one controller and the King and Queen size blankets have two controllers for the individualized sleep preferences of couples. Easy to take care of, Soft Heat Blankets can be laundered in your household washing machine and tumbled dry without any negative affects. Available in quite a palette of calming colors, you are sure to find a tone to go with your bedding linens. Some users have reported that they didn’t get full coverage on their oversized, pillow-top style beds, so you may want to take exact measurements before ordering. is a “full-service” pad that combines the features of dust mite and bacteria protection and waterproofing into one product. This mattress cover is a seemingly appropriate choice for consumers who are willing to make a fairly pricey purchase to protect an even bigger monetary outlay in their expensive bedding. Unlike vinyl mattress covers, this cover is “quiet” and doesn’t have the tell-tale crinkly noise of a plastic covering. Additionally, unlike hot and sweaty vinyl, the 100% natural cotton top of this pad provides a cooler surface on which to rest through the night. The underside features a towel-like backing coated in Polyurethane film that is alleged to repel up to 2 pints of liquid such as urine, sweat or spilled drinks. The top of the Queen-sized mattress cover measures 60-inches by 80-inches, standard to the industry. The side skirting is 18-inches deep and is made of a 50/50 cotton and poly-blend that stretches to fit even the thickest of pillow-top mattresses. The majority of users seem to be happy with this sizeable purchase, but a handful have pejoratively complained that the Protect A Bed Mattress Cover is not waterproof at all, although the manufacturer claims that the polyurethane film backing the pad should maintain it’s integrity through at least 200 laundry cycles. The manufacturer recommends washing before use to remove fabric sizing and to not bleach, iron or dry clean this product. Failure to follow these instructions may lessen the allergy and waterproofing properties of the mattress pad. 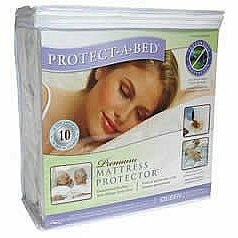 Where Can I Buy the Protect A Bed Queen Mattress Cover? 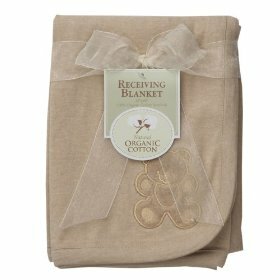 If you are looking for a functional baby gift that is fashionable and eco-friendly, the American Baby Company Organic Embroidered Receiving Blanket in Mocha is a find. Designed with snuggling in mind, this sweet blanket if crafted out of 100% organic cotton interlock that is safe and soft against the delicate skin of a newborn. Organic cotton farmed free of pesticides from cotton plants that have not been genetically modified in any way. Measuring 30” x 40” inches, this receiving blanket is just the right size for napping, bringing along in the car and even using as a coverlet for nursing. The fabric is subtle and soothing; it just may become a little one’s favourite “lovie”. Available at a very reasonable price, it would be a great idea to buy a spare or two to have on hand if the other becomes lost or is being laundered. The color is described as Mocha, but is definitely not a dark brown; instead more of a lighter café au lait tone. A darling little teddy bear with tan accents is embroidered into the corner making it perfect for both little boys and little girls. This blanket would look great with a neutral toned outfit for a boy or with an ensemble of light pinks paired with brown that are so trendy for girls today. The manufacturer recommends washing on the gentle cycle in cold water with similar colors and tumbling dry on low. Launder with a mild detergent (Dreft has such a nice baby smell!) and do not use bleach. This sounds like a product I would be very happy with. 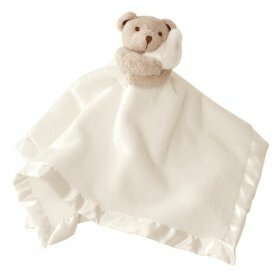 Where Can I Buy the American Baby Company Organic Embroidered Receiving Blanket? Laura Ashley is well known for her beautiful classic bedding. This is quality bedding that will last the distance. The Laura Ashley Emilie Comforter Set is actually two comforters in one. It can be reversed for a whole different look. 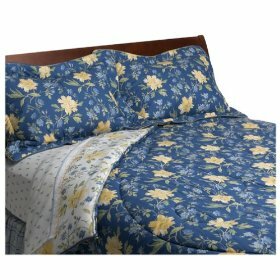 On one side of the comforter are butter yellow and sky blue flowers on a white background and on the reverse the same flowers on a blue background. The pillow shams have the same blue background with butter yellow and sky blue flowers and are padded for extra comfort. The bed skirt is in a contrasting plaid design with the same yellow and blue theme as the comforter and pillow shams. The Laura Ashley Emilie Comforter Set is available in king, queen, full and twin. The set is fully machine washable. Featuring warm, rich colors, the Cotton Tale Designs Paradise 4 Piece Crib Bedding Set is ideal for girls and boys and comes with a sheet, a dust ruffle, a four-piece sectioned bumper and a quilt made from 100 percent cotton. 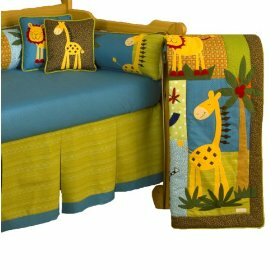 Each of the pieces has appliquéd jungle animals on it and the set can be matched to several other jungle-themed products from Cotton Tale. Those who brought this crib set or were given it as a gift were very happy with the product overall. Most consumers who reviewed the product online were thrilled with the colors and designs on the set and enjoyed the fact that each piece was very soft and safe for babies. Reviewers described the set as very detailed with lots of interesting textures and that the animal characters kept their baby amused. One customer found that the binding on the bumper hadn’t been sewn completely the stitching began to unravel on first use, but most praised the quality of the set. The manufacturer advises that each piece of the set can be machine washed and dried. Through our research, we discovered that a lot of consumers who bought the set absolutely loved the bright, vivid colors and were interested in it because it could be complemented by other matching pieces sold by the same company. This looks like a baby bedding set that I would like. Where can I purchase the Cotton Tale Designs Paradise 4-Piece Crib Bedding Set ?